Do Functioning Addicts Really Exist? From time to time, you may hear the term functioning alcoholic or functioning addict. 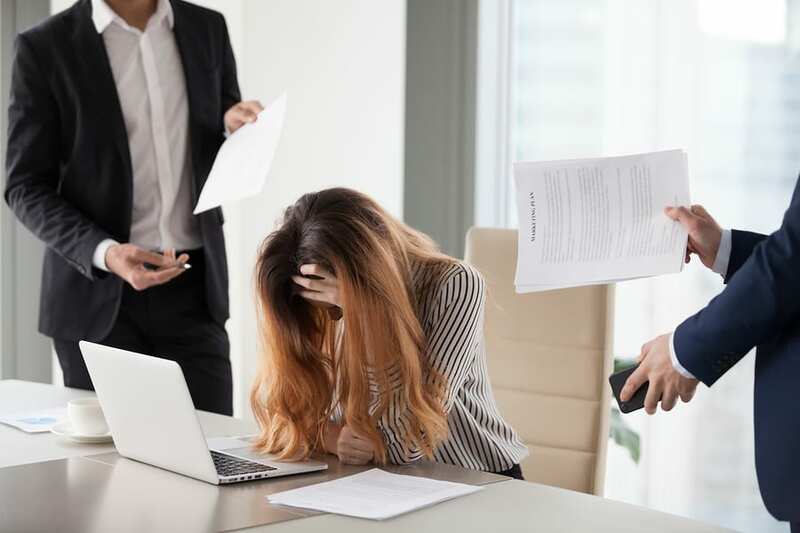 These terms are usually used to describe someone known to overuse alcohol or drugs, but who manages to hold down a job and live a relatively normal life. Some people will even describe themselves this way, acknowledging that they're somewhat dependent on substances, but claiming they can function regardless. Yet you're more likely to hear the term high-functioning addict in casual conversation, or on TV shows, than in clinical discourse. Many people therefore assume that self-proclaimed high-functioning addicts are exaggerating either their substance use or their success. So do functioning addicts exist? If so, is it really a problem? Functioning Addicts: More Common Than You Think? Decades of research into addiction has shown that functioning addicts do indeed exist. In fact, research performed in 2007 found that 19.5% of American adults suffering from alcoholism fall into the subtype of functioning addict. When we speak of addicts, we generally picture people who cannot hold down jobs and whose families have been torn apart. But that is certainly not always the case. There are successful individuals with happy families who are classified as addicts. If someone is a functioning addict, is there really a problem? Getting off substances is incredibly difficult, which is why addicts generally wait until they no longer have other options. An addict who has the option to continue as they are, without everything falling apart, may well see no need to change their behavior. Unfortunately, addiction is never that kind. Eventually, it catches up with the person, no matter how well their life may seem to be going. For one thing, being inebriated makes certain things impossible. For example, even if you believe you are able to drive safely, a routine traffic stop will lead to a DUI. This can have significant implications for your career, among other things. Furthermore, friends and family may not have as much confidence in your ability to function as you do. Functional relationships begin to fall apart, as loved ones no longer trust you to look after their children or to take on responsibilities for them. It is also likely that your addiction will get steadily worse, until you are no longer able to function adequately. This is similar to any disease that is asymptomatic for now but can become deadly if left untreated. Furthermore, if the substance does not eventually make life unbearable, the issues at the heart of your substance abuse will. Most addicts are highly sensitive people. They use substances in response to depression, unmanageable feelings, or relationship issues. If you're using substances to keep your depression at bay, for example, you will eventually find that they no longer work. At that point, you will likely increase your substance use or recognize that you have no choice but to face the problem. Finally, daily alcohol or drug use will lead to health problems, including memory loss and liver disease. Any addict has a hard time admitting they have a problem. Denial is a ubiquitous symptom of the illness. Getting a functioning addict to admit they have a problem is even more difficult. They will point to their ability to function at work and at home, as well as any recent successes, as proof that they are doing fine. If you identify as a functioning alcoholic, you may recognize you have a problem, but wish to avoid dealing with it for as long as possible. Treating the problem is going to be one of the most difficult things you ever do. It’s no surprise that most addicts wait until they've hit rock bottom before entering treatment. However, anyone who has been at rock bottom will tell you that it’s not a place you ever want to visit. Hitting rock bottom is excruciatingly painful, and if there’s any chance you can avoid it by seeking treatment beforehand, it is, without a doubt, worth it. One of the challenges functioning addicts face is how much they're willing to sacrifice to enter treatment. While an addict who has lost their job and severed ties with their family and friends might have nothing to lose, someone who is doing well in their career and has a fulfilling family life may not want to take time off. The problem is that you cannot simply stop using a substance without experiencing withdrawals. Trying to detox while still going to work will likely prove impossible. You'll either end up asking for time off or using substances again in order to continue functioning. Because of this, it’s important to remember that by dedicating time to deal with your problem now means sparing yourself from much greater sacrifices later on. Entering treatment will mean you will no longer be a “functioning” addict. But at least by the end of it, you will no longer be dependent on the substance either. If, on the other hand, you don’t treat your problem, you will eventually stop functioning anyway. In addition to detoxing, you will need to seek therapy and support. This can come in the form of a course of rehab, as well as individual therapy and NA or AA meetings. Remember what is at stake, and use that as motivation to treat your problem now. Taking the opportunity to treat your addiction requires courage and commitment, even if you are a functioning addict. However, it is worth all the resources you put in. If it requires taking time off work and time away from your family, both areas of your life will be better for it in the long run. Functioning addiction is real, but functioning addicts cannot keep the status quo forever. At some point, they will need to treat their addiction or risk seeing it spiral out of their control. If you or a loved one is a functioning addict, start looking at your options today.